Instantly fall in love w/ this meticulous & pristine home w/ it's open floorplan on cul-de-sac backing to trees & greenspace. 5 bedrooms (front bedroom right off entryway is currently used as office). 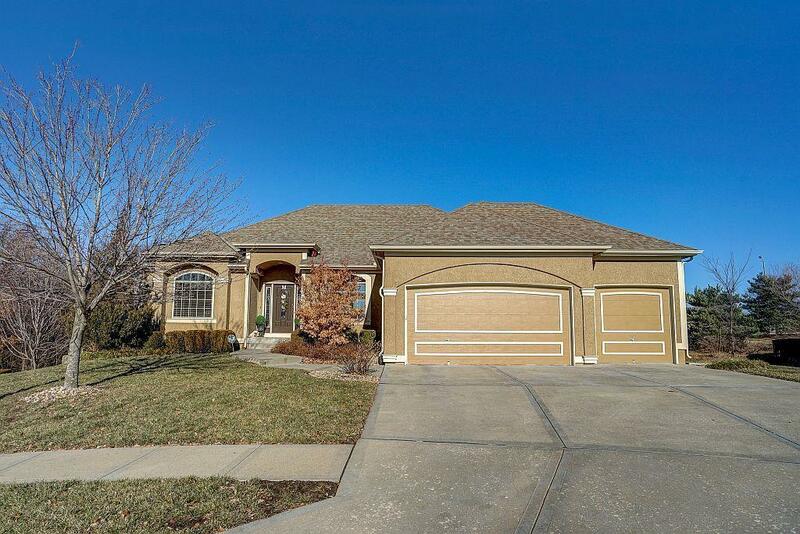 Amazing location in quiet & peaceful neighborhood near elementary school, golf course & clubhouse. Many extras include inground sprinklers, large walkin pantry, granite counters, custom cabinets, 2 fireplaces, formal dining & amazing master suite! Lg fin walkout basement opens to patio. Like new, but cheaper! Directions: I-70 W to Exit 15A for I-470/MO-291 S toward Lee's Summit. Left lane to take exit 1A-1B for US-71 S toward Grandview. Keep left and merge on I-49 S/US-71 S. Take exit 176 for 155th St toward Belton. Left on County Line Rd. At the traffic circle, take the 3rd exit on County Line Rd. Right on Foxridge Dr. Right on Creekmoor Dr. Right on Foxshire Cir.